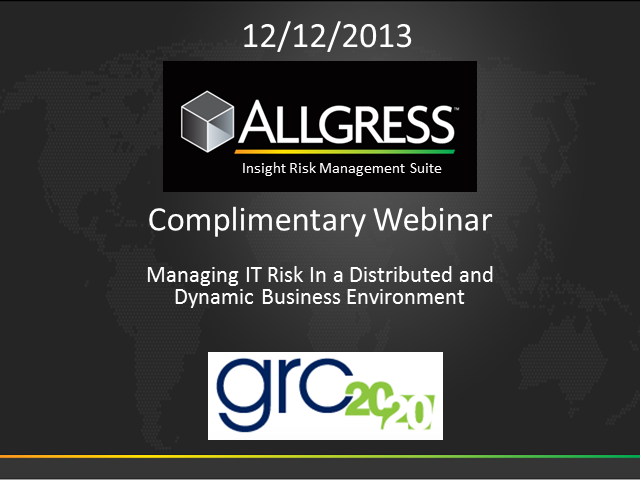 IT risk management is critical to the business – operations and strategy. To be efficient, effective, and agile in managing IT risk, security, and compliance it is critical that organizations understand IT in the context of their business and select technologies that are compelling for the business to use as well as IT. Too often IT works in its deep technical world and fails to connect with the business. IT risk, security, and compliance is not accomplished in the vacuum of IT but is only successful when there is good communication and collaboration on IT risk between IT and the business. It is imperative that the IT risk, security, and compliance architecture support this.